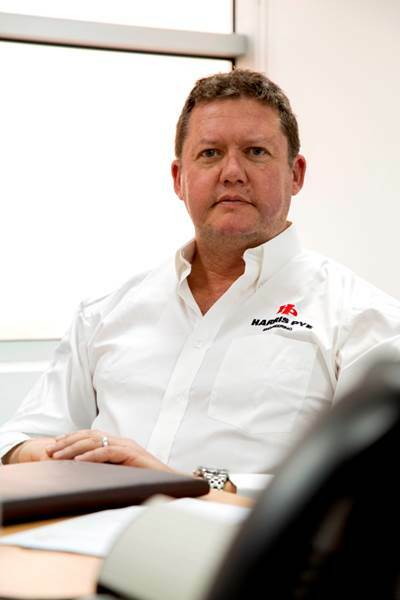 Nigel Hopkins has been appointed Managing Director of Harris Pye UK Ltd based at the company’s headquarters in Llandow in Wales. He joined Harris Pye on May 1 this year working alongside Dave Hayden, the company’s retiring Managing Director at the Harris Pye UK headquarters in Llandow, South Wales before officially taking over from Dave Hayden on October 1, 2017. Nigel Hopkins started his engineering career in the merchant navy spending 13 years sailing on a variety of vessels including oil tankers, gas tankers and cruise ships working for companies including BP, Mobil, and Cunard Line eventually qualifying and sailing as Chief Engineer, something to which other senior Harris Pye team members can also lay claim. He then made a career move into the offshore oil and gas industry where he spent the following 20 years and was involved with new builds, conversions and upgrade projects of both floating and fixed platforms for global companies including ConocoPhillips, Bluewater Energy and BW Offshore. He was primarily involved with the commissioning and start-up phases. Based in the Far East for the past 15 years, since 2007 he was Technical Director at offshore oil and gas project management and completions specialised company, Tecnomar & Associates Pte Ltd, the company he founded with his brother Paul Hopkins.